Colorado DUI probation can present its own challenges for people trying to resolve their DUI cases. Here are the facts about Colorado DUI probation. 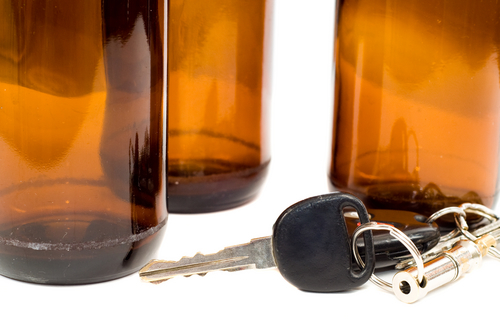 DUIs can come with various penalties upon conviction. However, while many people are focused on whether they will have to go to jail after their DUI arrest and/or how much a DUI conviction will end up costing them, another issue that can be important in these cases includes the possibility of Colorado DUI probation. Given the fact that Colorado DUI probation has some very strict requirements – and that successfully completing this probation can be pivotal to resolving DUI cases, in this three-part blog series, we will highlight some of the more important facts to know about Colorado DUI probation. If, however, you have recently been arrested for a DUI and favorably resolving your criminal case is of primary concern at the moment, don’t hesitate to contact the experienced Denver and Boulder Metro Area DUI lawyer at Griffin Law Firm. Our attorney knows how to defend people in various types of DUI cases, and he is ready to put his experience to work defending you. Fact #1 – There are two types of Colorado DUI probation. Pre-trial Colorado DUI probation, which essentially is the probationary period that occurs before the final disposition of a given case (i.e., before the conviction, acquittal or dismissal) – Usually, this type of Colorado DUI probation involves suspended driving privileges, as well as the requirement to not commit any new offenses. Standard Colorado DUI probation, which comes into play if or when people are convicted of a DUI – This probationary period is usually far stricter than pre-trial probationary periods, as it tends to last longer and have a lot more requirements/obligations. Fact #2 – Colorado DUI probation has some very strict terms. Pay all court-ordered fines related to the DUI case. Abstain from using alcohol and/or drugs. Submit to random alcohol and/or drug testing. Complete court-ordered community service and alcohol education. Abide by all laws through the term of the Colorado DUI probation (i.e., not incur any new criminal arrests, charges or cases). Depending on the facts of a given DUI case, as well as an individual’s criminal history, Colorado DUI probation can include various other requirements, and fully knowing what these requirements are will be critical to successfully fulfilling them – and to not violating probation. You can get some more important facts about Colorado DUI probation in the two additional installments of this blog series that will be published soon. Be sure to look for them! Have you been charged with a DUI? If so, you can turn to the Denver and Boulder Metro Area DUI lawyer at Griffin Law Firm for experienced help and the best possible defense. To receive a complete evaluation of your case, along with more info about how we can help you, contact us by calling (303) 280-1070 or by emailing us using the contact form at the top of this page.